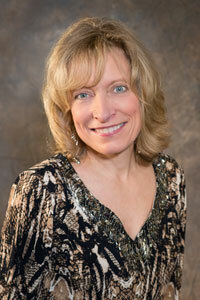 Health Coaches of Delaware is owned and operated by Audrey Griffith, a Certified Holistic Health Coach. Audrey understands the challenges that come with achieving and maintaining a healthy lifestyle. She recognizes that it is not just about the food, and that not every food plan works for everybody. She has personally experienced frustrating food-related setbacks – she’s been on that rollercoaster ride. She doesn’t pretend to have all of the answers. But, she has a wealth of knowledge and experience, and the passion and understanding to provide the supportive assistance to serve her clients well. Depending on the circumstances, other health coaches or outside service providers could be used to assist you in meeting your goals and/or provide you with the services you desire. You will, of course, have the final say in deciding with whom you will work. Having worked for more than twenty years for the YMCA of Delaware, Audrey brings with her significant experience within the wellness arena. She got started as a fitness instructor and advanced to the level of a director responsible for overseeing Membership and Wellness. Audrey has worked closely with individuals and with groups in promoting a healthy lifestyle. She also made healthy living a way of life for her family, and feels fortunate to have instilled healthy values in her two boys. Prior to entering the wellness world, Audrey was in the business world, working for a public accounting firm and a major financial corporation. Her earlier education includes a B.S. degree in accounting and several fitness-related certifications. We practice a holistic approach to health and wellness, working with the whole person. We take the time to listen to your concerns and ask thoughtful questions. Through this nonjudgmental coaching, you will be empowered to reach your optimal level of well-being. In addition, we will collaborate with you to identify your obstacles to change and create strategies for forward movement. Health Coaches of Delaware inspire change by connecting people with a style of living that supports their vision. Life has challenges, stress, work, relationships, children etc., that all have a negative affect on your health. We work with you to develop ways to manage your individual challenges so that you can focus on you and your goals. As we work together, you’ll develop a deeper understanding of the food and lifestyle choices that work best for you. It’s not whether foods are good or bad for you, it’s about balance. Together we will work to create lasting changes that will improve your energy, balance and health. Each person has unique food and lifestyle needs. One person’s food is another person’s poison, and that’s why fad diets tend to fail in the long run. Health Coaches of Delaware will support you to make positive changes that are based on your unique needs and preferences.